Mark Arrowood, worked for Sara Lee in Winston-Salem and lived in Lexington NC when he played with the Messengers. Mark studied banjo with Richard Matteson. 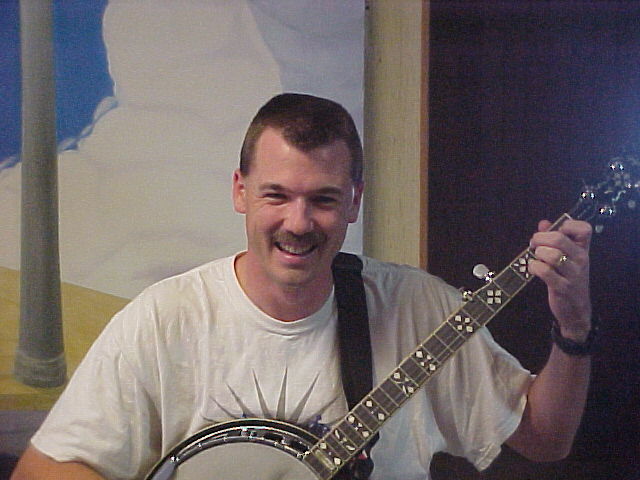 Mark played on the last three Bluegrass Messenger CD's and was an important part of the group. He played at several large concerts when the Messengers opened for Doc Watson several times. Eventually his growing family prevented him from devoting time to the group.